Inicio de BEN - Bright Entertainment Network (Inglaterra) en DVB-S2 , Conax, en 4153.00MHz, pol.R SR:30000 FEC:3/4 SID:2010 PID:1002[MPEG-4]/1003 Ingles. BEN - Bright Entertainment Network está ahora codificado en Conax (3761.00MHz, pol.R SR:30000 FEC:3/4 SID:2010 PID:1002[MPEG-4]/1003 Ingles). BEN - Bright Entertainment Network está ahora codificado en Conax (4134.00MHz, pol.R SR:30000 FEC:3/4 SID:2010 PID:1002[MPEG-4]/1003 Ingles). BEN - Bright Entertainment Network (Inglaterra) está en abierto (4134.00MHz, pol.R SR:30000 FEC:3/4 SID:2010 PID:1002[MPEG-4]/1003 Ingles). BEN - Bright Entertainment Network (Inglaterra) está en abierto (3761.00MHz, pol.R SR:30000 FEC:3/4 SID:2010 PID:1002[MPEG-4]/1003 Ingles). BEN - Bright Entertainment Network is encrypted again after being temporarily unencrypted on 4134.00MHz, pol.R SR:30000 FEC:3/4 SID:2010 PID:1002[MPEG-4]/1003 Ingles (Conax). Sky Digital: Nueva frecuencia para BEN - Bright Entertainment Network: 11464.25MHz, pol.H (DVB-S SR:22000 FEC:5/6 SID:54223 PID:2348/2349 Ingles - En abierto). Sky Digital: Nueva frecuencia para BEN - Bright Entertainment Network: 12663.00MHz, pol.H (DVB-S SR:22000 FEC:5/6 SID:54223 PID:2348/2349 Ingles - En abierto). Sky Digital: Nueva frecuencia para BEN - Bright Entertainment Network: 12441.00MHz, pol.V (DVB-S SR:27500 FEC:2/3 SID:54223 PID:2348/2349 Ingles - En abierto). Sky Digital: Nueva frecuencia para BEN - Bright Entertainment Network: 12643.00MHz, pol.H (DVB-S SR:27500 FEC:2/3 SID:54223 PID:2348/2349 Ingles - En abierto). Startimes: Cambio de SR para BEN - Bright Entertainment Network en 4153.00MHz, pol.R: SR:28485 ( FEC:5/6 SID:1022 PID:2202[MPEG-4]/2203 Ingles - Conax). Sky Digital: Nueva frecuencia para BEN - Bright Entertainment Network: 11259.00MHz, pol.V (DVB-S SR:27500 FEC:2/3 SID:52139 PID:2372/2373 Ingles - En abierto). Sky Digital: BEN - Bright Entertainment Network ha vuelto en 12560.00MHz, pol.H SR:27500 FEC:2/3 SID:54070 PID:2343/2344 Ingles después de un periodo de para ( PID:2343/2344 Ingles - En abierto). Startimes: Cambio de SR para BEN - Bright Entertainment Network en 4156.00MHz, pol.R: SR:26666 ( FEC:5/6 SID:1022 PID:2202[MPEG-4]/2203 Ingles - Conax). Sky Digital: Nueva frecuencia para BEN - Bright Entertainment Network: 12560.00MHz, pol.H (DVB-S SR:27500 FEC:2/3 SID:54070 PID:2343/2344 Ingles - En abierto). Startimes: Cambio de SR para BEN - Bright Entertainment Network en 11900.00MHz, pol.H: SR:27500 ( FEC:3/4 SID:1022 PID:2202[MPEG-4]/2203 Ingles - Conax). Startimes: BEN - Bright Entertainment Network está ahora codificado en Conax (4146.00MHz, pol.R SR:7857 FEC:5/6 SID:1022 PID:2202[MPEG-4]/2203 Ingles). Startimes: BEN - Bright Entertainment Network está ahora codificado en Conax (11900.00MHz, pol.H SR:3214 FEC:3/4 SID:1022 PID:2202[MPEG-4]/2203 Ingles). Startimes: Inicio de BEN - Bright Entertainment Network (Inglaterra) en DVB-S2 , En abierto, en 4146.00MHz, pol.R SR:7857 FEC:5/6 SID:6 PID:601[MPEG-4]/602 Ingles. Startimes: Inicio de BEN - Bright Entertainment Network (Inglaterra) en DVB-S2 , En abierto, en 11900.00MHz, pol.H SR:3214 FEC:3/4 SID:6 PID:601[MPEG-4]/602 Ingles. 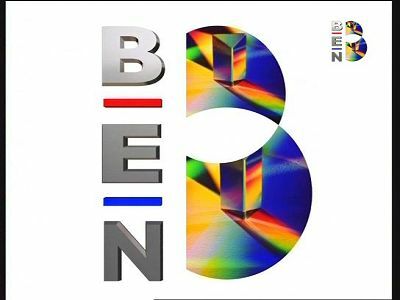 Inicio de BEN - Bright Entertainment Network (Inglaterra) en DVB-S , En abierto, en 12602.00MHz, pol.V SR:27000 FEC:1/2 SID:17 PID:791/1047 Ingles. Sky Digital: Nuevos PID para BEN - Bright Entertainment Network en 12524.00MHz, pol.H: PID:2323/2324 Ingles SID:55002 ( SR:27500 FEC:2/3 - En abierto). Sky Digital: Nuevos PID para BEN - Bright Entertainment Network en 12524.00MHz, pol.H: PID:2322/2323 Ingles SID:55002 ( SR:27500 FEC:2/3 - En abierto). Inicio de BEN - Bright Entertainment Network (Inglaterra) en DVB-S , En abierto, en 12562.00MHz, pol.H SR:26657 FEC:1/2 SID:7 PID:263/519 Ingles. Sky Digital: Nuevos PID para BEN - Bright Entertainment Network en 12524.00MHz, pol.H: PID:2315/2316 Ingles SID:55002 ( SR:27500 FEC:2/3 - En abierto). Sky Digital: Nuevos PID para BEN - Bright Entertainment Network en 12524.00MHz, pol.H: PID:2320/2321 Ingles SID:55002 ( SR:27500 FEC:2/3 - En abierto). Sky Digital: Nuevos PID para BEN - Bright Entertainment Network en 12524.00MHz, pol.H: PID:2319/2320 Ingles SID:55002 ( SR:27500 FEC:2/3 - En abierto). Sky Digital: Nuevos PID para BEN - Bright Entertainment Network en 12524.00MHz, pol.H: PID:2316/2317 Ingles SID:55002 ( SR:27500 FEC:2/3 - En abierto). Sky Digital: Nueva frecuencia para BEN - Bright Entertainment Network: 12524.00MHz, pol.H (DVB-S SR:27500 FEC:2/3 SID:55002 PID:2312/2313 Ingles - En abierto). Sky Digital: Nuevos PID para BEN - Bright Entertainment Network en 11662.00MHz, pol.H: PID:2322/2323 Ingles SID:51008 ( SR:27500 FEC:2/3 - En abierto). Sky Digital: Nuevos PID para BEN - Bright Entertainment Network en 11662.00MHz, pol.H: PID:2327/2328 Ingles SID:51008 ( SR:27500 FEC:2/3 - En abierto). Sky Digital: Nuevos PID para BEN - Bright Entertainment Network en 11662.00MHz, pol.H: PID:2323/2324 Ingles SID:51008 ( SR:27500 FEC:2/3 - En abierto). Inicio de BEN - Bright Entertainment Network (Inglaterra) en DVB-S , En abierto, en 12597.00MHz, pol.V SR:27500 FEC:3/4 SID:8208 PID:167/108. Sky Digital: Nuevos PID para BEN - Bright Entertainment Network en 11662.00MHz, pol.H: PID:2329/2330 Ingles SID:51008 ( SR:27500 FEC:2/3 - En abierto). Sky Digital: Inicio de BEN - Bright Entertainment Network (Inglaterra) en DVB-S , En abierto, en 11662.00MHz, pol.H SR:27500 FEC:2/3 SID:51008 PID:2330/2331.